Munchkin Legends - 36% Off! "Raid the world of myth and legend! Crush every foe you meet. Backstab your friends and steal their stuff. Grab the treasure and run. 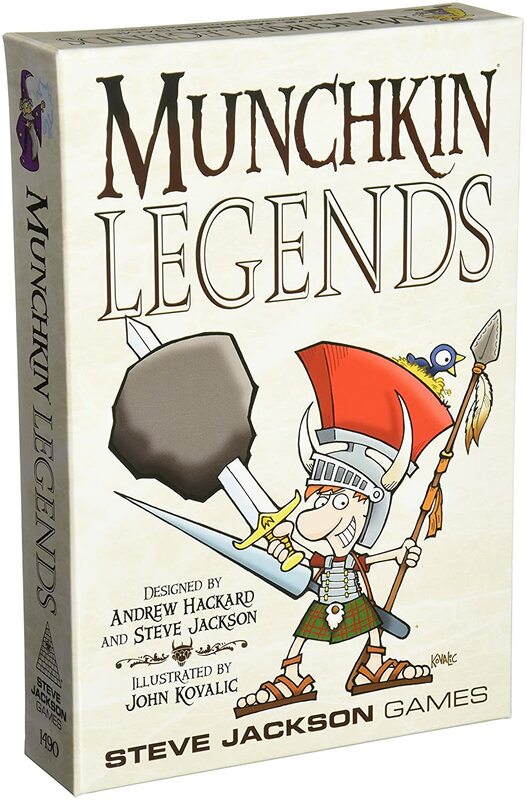 Munchkin Legends is the new Munchkin card game about legendary adventure...with none of that stupid roleplaying stuff. You'll defeat mythic monsters and grab fabled magic items! Don the Death Mask and Achilles' Heels. Wield Thor's Hammer...or maybe the Magic Bassoon. 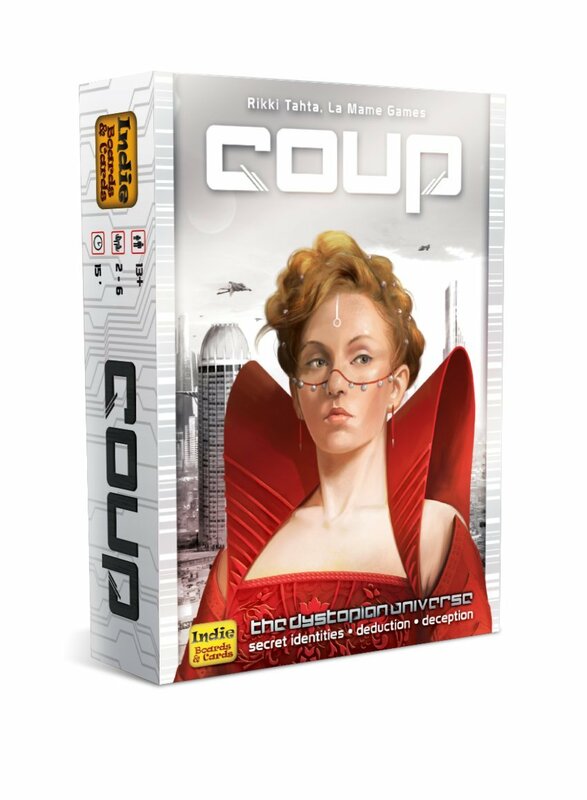 Start by slaughtering the Heebie-Jeebies and Johnny Zucchiniseed, and work your way up to the Kraken..."
In Coup, you want to be the last player with influence in the game, with influence being represented by face-down character cards in your playing area." "This Sid Sackson classic has taken many different forms over the years depending on the publisher. 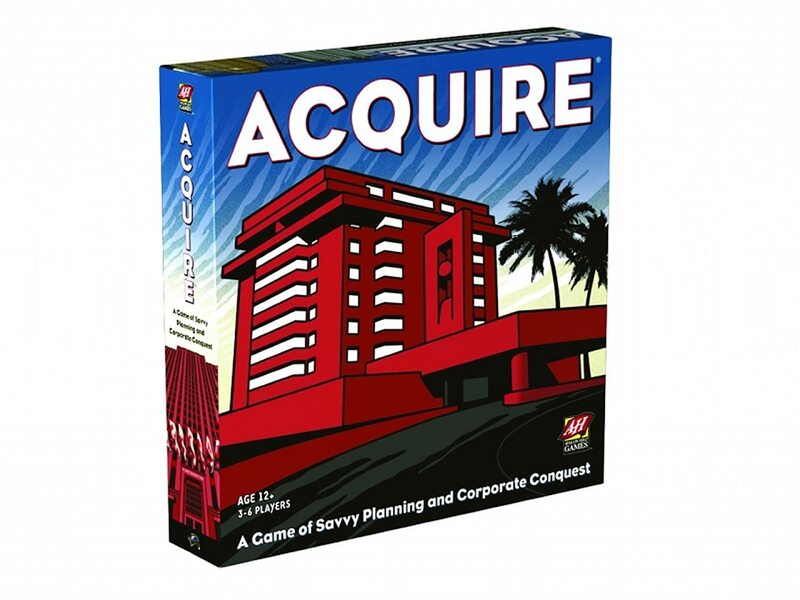 Each player strategically invests in businesses, trying to retain a majority of stock. As the businesses grow with tile placements, they also start merging, giving the majority stockholders of the acquired business sizable bonuses, which can then be used to reinvest into other chains. All of the investors in the acquired company can then cash in their stocks for current value or trade them 2-for-1 for shares of the newer, larger business. The game is a race to acquire the greatest wealth." Timeline: Diversity - 50% Off! "Timeline: Diversity is a card game played using 110 cards. Each card depicts a historical event on both sides, with the year in which that event occurred on only one side. Players take turns placing a card from their hand in a row on the table. After placing the card, the player reveals the date on it. If the card was placed correctly with the date in chronological order with all other cards on the table, the card stays in place; otherwise the card is removed from play and the player takes another card from the deck. Themes included in Timeline: Diversity are: Discoveries, Arts, Events, Music, Inventions, Monuments, and Sports." Timeline: Events - 50% Off! "Timeline: Events is a card game played using 110 cards. Each card depicts a historical event on both sides, with the year in which that event occurred on only one side. Players take turns placing a card from their hand in a row on the table. After placing the card, the player reveals the date on it. If the card was placed correctly with the date in chronological order with all other cards on the table, the card stays in place; otherwise the card is removed from play and the player takes another card from the deck. The first player to get rid of all his cards by placing them correctly wins. If multiple players go out in the same round, then everyone else is eliminated from play and each of those players are dealt one more card for another round of play. If only one player has no cards after a bonus round, he wins; otherwise play continues until a single player goes out". Twin Tin Bots - 40% Off! ""The robot was advancing fast towards the base, loaded with crystals – but the opponent team's robot was nearing. 'Bzzzzt!' Lightning sparked briefly, and the Bot changed course to unload the crystal a few meters from his base, his programming slightly jammed by the shock wave. The opponent Bot immediately loaded the crystal and proceed to rejoin his base; two other Bots were nearing and they didn't look too friendly! The mechanic sighed heavily as he knew this would inevitably end up in a melee, damaged Bots, and long hours in the repair shop afterwards..."
In Twin Tin Bots, the robot-programming game for the new generation, many corporations have invested in crystal mining after they were discovered as a potent energy source. They designed and improved robots to harvest crystals and a few people can now run a big crystal harvesting rig. Many teams work on the same harvesting plant, but the game's always on to bring more crystals back than the others. In the game, each player programs two robots to harvest crystals from the game board and bring them back to his base. The catch is that robots repeat their programming, but changes to the program from turn to turn are limited. Robots can also interact with other robots so even the best laid plans can end up slightly different than expected. The player who harvests the most valuable crystals wins." "Viceroy is a board game of bidding and resource management set in the fantasy universe of the famous Russian CCG Berserk. As the players struggle for control over the world of Laar, they recruit a variety of allies and enact various laws. These cards allow players to develop their state's military and magical might, increase their authority, and get precious gems they need to continue expanding their nation. As the game progresses, each player builds his own power pyramid using character and law cards. Each card has its own effect that depends on the level of the pyramid where the card is played. These effects may give more resources, more cards, or victory points. The player who has the most power points at the end of the game becomes the ruler of entire Laar and the winner!"